Avocado Toast With Cottage Cheese There are 10,000 ways with avo toast and this is one filling version. 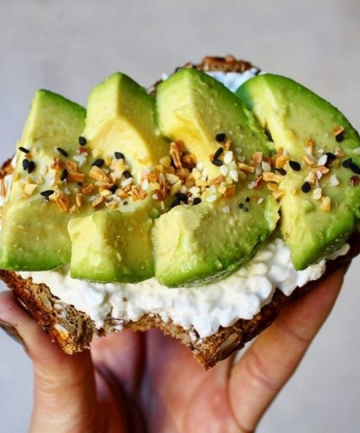 Add a layer of protein-rich cottage cheese to the bottom of wholegrain toast before avocado. It's doubly creamy and will keep you going until midday. Top with everything bagel seasoning because why not?